Meet at the NW section of the Museum of Northern Arizona’s parking lot. Ephemeral rivers only flow during large storm events such as summer monsoons. As such, these dry corridors are often perceived as and even treated as nothing more than ditches. 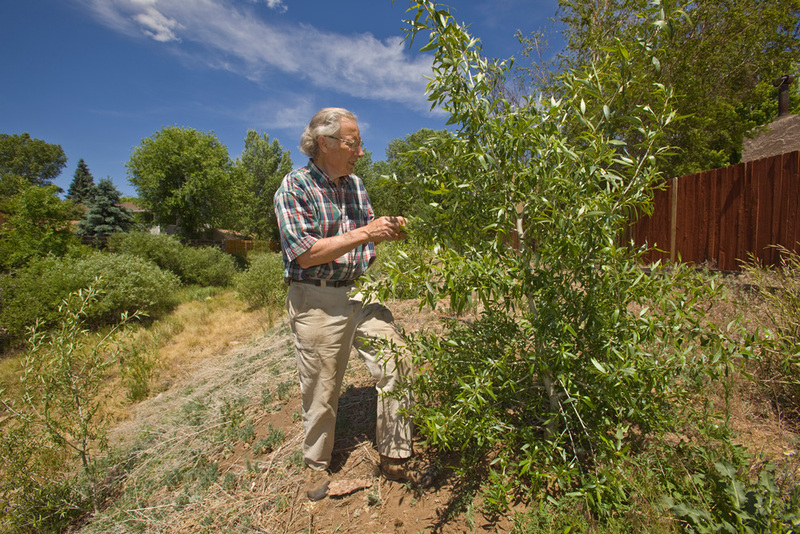 On Thursday, August 2nd we will discover how Regents’ Professor Emeritus Peter Price transformed the “ditch” behind his house into a flourishing riparian greenbelt. Dr. Price’s teachings at Northern Arizona University focused on insect ecology, entomology, and biological evolution. Dr. Price will guide us along the Rio de Flag in his neighborhood where he planted willows and other plant species. These plantings create a vibrant area and provide shade for visitors and habitat for wildlife. The restoration of ephemeral rivers builds awareness and recognition of these places as assets rather than unsightly burdens. We look forward to seeing you next Thursday for a relaxing hike. Meet at 5:30pm at the northwest corner of the Museum of Northern Arizona’s parking lot (3101 N Fort Valley Road).